Cocoia is a company that creates novel, beautiful products and innovative projects by Sebastiaan de With. Take a look at our design portfolio, Icon Designer, view our recent projects on this website, or read about our thoughts at the Cocoia Blog. Specialized in visual interface, icon, and interaction design since 2007. Cocoia is pleased to announce the immediate release of our new websites. On each, you can find our latest projects, designs, free goodies and much more. Please take some time to check everything out and let us know what you think! 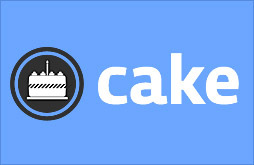 Cake.to is Cocoia’s latest project, an aims to unify all the handy web utilties we love into a powerful single website. © 2008 Cocoia, the Netherlands. Valid XHTML Strict. Unauthorized reproduction of materials on this website is prohibited.